There was no debate between Newt Gingrich and Herman Cain. It was a discussion, at best with Mr. Gingrich taking command of the stage while waxing philosophically about the issues. His command of the topics and language was reminiscent of President Ronald Reagan at times, in my opinion. Herman Cain, on the other hand stumbled when asked directly about the topics, and at times, his performance was painful to watch. 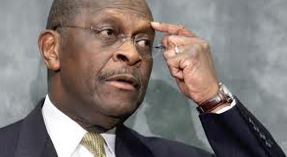 Moreover, while Mr. Cain held onto his populist rhetoric, he could neither provide a coherent solution that gave the impression that he understood how to govern a public office, much less solve an intricate problem such as entitlements and how they are tied into our current tax system. As a leader, in order to offer any coherent solution, you must comprehend the history of the U.S. entitlement programs so as to analyze them accordingly. This was not apparent in Mr. Cain’s discussion as he attempted to ‘keep up’ with Mr. Gingrich’s intelligent discourse. The “debate” was to be strictly about Entitlement programs. Both Cain and Gingrich were briefed on the Ryan Budget Plan a “Path to Prosperity” as the basis for the discussion. (For further information of the plan please see click here). The Ryan Plan’s projected timeline to balance the budget is set at 2037. According to the plan, entitlement programs cost 60% of the national budget--or about $2 trillion dollars--with an exponential increase of 18% each year. Moreover, the need to restructure entitlements within the next 10 years is urgent. As the nation’s budget was 3.6 trillion in 2011, entitlement programs will be a source of considerable drain on the U.S. economy if they remain intact as they require 2 trillion dollars to operate. Essentially, if taxes are cut but programs continue to exist, there will be little or no funding to maintain them. Finally, the most important problem that neither candidate addressed was that of the aging population of boomers and their receiving a bulk of the budget through both Social Security and Medicare. This is important as the labor force diminishes and there are fewer workers in the marketplace; hence, fewer taxpayers to fund these programs. Studies show that the labor force will diminish by 2020, which means that fewer taxpayers will exist to sustain the solvency of the programs like Social Security and Medicare. For instance, on average, a Social Security beneficiary receives an average $1,000 per month. An American worker pays an average of $342.00 into the Social Security Trust fund. Thus, the ratio of worker to Social Security beneficiary is 3 to 1; this ratio will decrease to 2 to 1 by 2020 since the retiring age is higher than the new worker pool due to the large block of baby boomers. So if all these workers who now pay $342 will opt out and stop paying into the Social Security Trust Fund, as both candidates suggested, (fearing that their money won’t be there by 2035), the trust will deplete by 2035. While both candidates offered their thoughts and solutions for the three largest entitlement programs: Medicare, Social Security, and Medicaid, both were so far apart in their analysis. On the topic of Medicare, Mr. Gingrich offered his solution of the Premium Support Model where people are free to choose their medical care which will therefore create a better quality system. Moreover, the less involvement of government intrusion is key to allowing people in choosing their “destiny” if you will and will raise the standards of care and quality. This would entail leaving the present system in check, while shifting the delegation of authority to the individual rather than agencies. However, the fact that Medicare too will be depleted by 2025 unless changes are made makes this argument obsolete. For example, on average, an American pays into Medicare $150,000 but consumes about $450,000 in their life span. Regrettably, Mr. Gingrich failed to mention the real cost per individual to the government and how we must make adjustments to a “means-tested” for those able to pay for premium services. He did, however, offer a coherent and logical attempt in solving the problem. 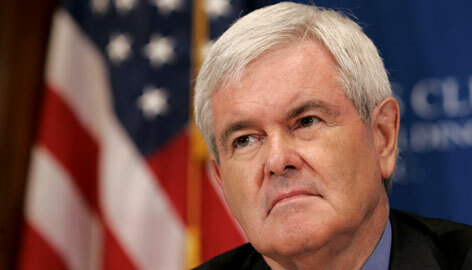 Mr. Gingrich did attempt to further offer realistic solutions to go along with the “debate’s” format. Mr. Cain, on the other hand, offered his point of view of “restructuring” the system altogether, rather than reshuffling it. While this may sound luring to a business executive, it would be disastrous to a current governmental agency leaning toward the edge of extinction. At times, Mr. Cain was not clear about how he derived his answer on such broad populist statements. Additionally, Mr. Cain argued that “I will not touch Medicare or Social Security,” and that he will keep benefits at the current levels to all those already enrolled and all Americans 55-years and older. In applying the leveling off of the labor force with no added tax revenue, his solution is not only impossible it is ludicrous. In addressing the Social Security program, Mr. Cain stated that he would give young Americans the option to opt out from Social Security into a private trust fund, the Social Security Public Trust Fund. While this may sound enticing, it too is without merit. If the young labor opted out of paying into the Trust, it will not have the money needed to pay the benefits of all retirees in the upcoming years; revenue collected is immediately allocated—$900,000 billion--to pay for benefits. Moreover, when Mr. Cain was asked where the money will come from to pay for these benefits, he answered comically: his solution was his 9-9-9 tax plan. At this point, his diatribe became much too painful to stand, as he could not logically follow his own reasoning. While the populist attempt of Mr. Cain did gain him traction in the polls at times, it was obvious that he does not have the leadership skills necessary to lead a nation. One thing is evident from the discussion that evening, Mr. Gingrich was the Sensei of the evening while Mr. Cain was the novice politician, often times in need of rescue. During many points of the evening, Mr. Gingrich avoided speaking in great detail about policies so as to save Mr. Cain from any embarrassment. As the magnanimous statesman, Mr. Gingrich often times restrained in completing his thought and his application of a solution in order to diminish Mr. Cain’s lack of knowledge or preparation. It was never clear which one applied. While we may want to believe that the media interferes with our selecting candidates for Presidency or we may want to send a message out to the world about how we are in control of choosing our leaders, we are hypocritical in this regard. For instance, we complain about career politicians and their empty promises because they do nothing to diminish the presence of government in our lives, yet we are eager to embrace novices coming into the ring charging for the immediate solution when in fact what they say is complete nonsense. In an effort to bring an impetus of reform, we are attracted to a candidate who says all of the correct things that ring true in our ears with little, if any, substance. Are we not intelligent enough to understand that is how we elected our current leader in 2008? As Americans, we fell prey to the concept of change with the poetical speeches of the Obama campaign. Currently with Cain, we are hypnotized with the idea that a Rocket Scientist/Business man could reverberate solutions for our current disasters. Yet in hindsight, when we look over our eagerness for change, can we be honest with ourselves and ask, Have We Not Learned?